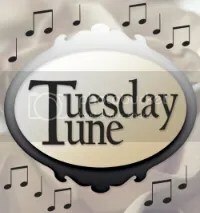 Tuesday Tune is my new weekly musical meme to share, showcase and opine about music. Choose a piece of music you’ve listened to in the past week and tell us what you like or don’t like about it. Tell us what the last piece of music you listened to was and how you heard it (iPod, radio, in a shop etc.). Tell us if you have bought any music in the last week, why you purchased it and in what format (digital or CD). Do you have a musical reflection? Do you have any strong opinions or notions about music? Share it with us.